"Installation of the in-ceilings was a breeze and took under two hours, including some minor paint touchups." "The SIG-1.5R-30 is part of a new Designer Series that feature an almost invisible bezel. The grills snap right into place, thanks to the tiny magnets around the edge of the speaker, and the bezel-less effect is very clean and esthetically pleasing." 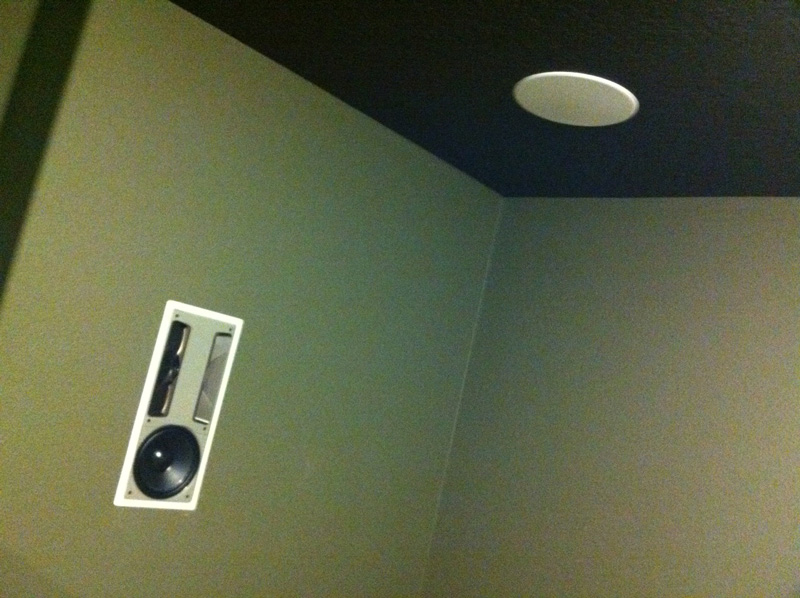 Paradigm's Signature in-wall/in-ceiling speakers, installed and ready to go! "The Paradigm's melted away into the walls, as if there were no speakers there at all. "The full range of the ADP's was truly appreciated here as I could feel explosions around me. 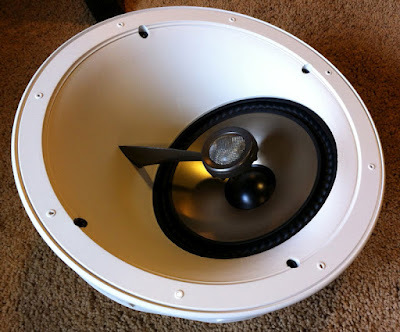 The idea that surrounds only need to reproduce midrange and treble is complete hogwash. DTS-HD Master Audio allows for full range signals on all channels and there is plenty of sound information that could be lost with small surround speakers, and it frees up your subwoofers to handle only the LFE track." "I was worried going to 7 channels would be a waste of time and the benefit over 5 would be marginal at best. Well I can now throw that thought away because I wish every soundtrack was mixed for 7.1." "Having the Paradigm Signatures in my ceiling and walls truly took my home theater to the next level. I have no clue how I lived with my home theater prior to these speakers being installed." "Paradigm provided the perfect solution; not only could I upgrade to 7 channels, but I could do so without using up any space. In fact, I was able to gain back some real estate by ditching my rear speakers and stands. After hearing the Paradigm Signature ADP's and 1.5R-30's with 7.1 DTS-HD Master Audio am I a firm believer in its ability to envelop the viewer in the movie's sound and music." "Absolutely check out Paradigm's Signature collection of in-wall and in-ceiling speakers if you are looking for the ultimate in performance, without taking up an inch of floor space." ...We could not have said it better ourselves. Click here! to read the full review on the Secrets website. Click here! for more info. on Paradigm's custom line of products.